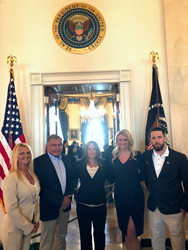 The RGF Environmental Group, Inc. (RGF) team visited the White House by special invitation from President Donald Trump to discuss their phenomenal success and the RGF making America “even greater” again and “Share the Wealth” bonus program. Ron Fink stated: I heard that you (President Trump) were considering making a bonus up to $2,000 tax-free! If this is true, RGF will double the $1,000 January bonus given to all 150 employees! 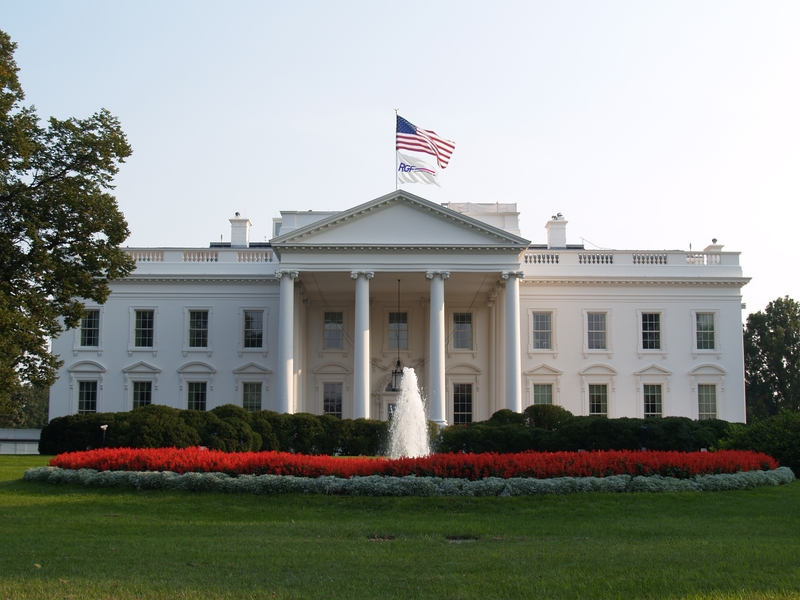 The RGF Environmental Group, Inc. (RGF) team visited the White House by special invitation from President Donald Trump to discuss their phenomenal success and the RGF making America “even greater” again and “Share the Wealth” bonus program. CEO Ron Fink was invited and asked to bring mid-level employees to discuss the possibility of expansion of the bonus program and how President Trump’s tax program helped with the company’s rapid growth and what the bonuses meant to the employees. Angela Solland stated that her bonus would be put toward the down payment on a new home, and Gareth Hull is starting a college fund for his children. The team showed good diversity as members were American, Canadian, South African and German. Photo left to right: Robin Broderick, Sales Coordinator; Ron Fink, CEO; Astrid von Oetinger, International Sales; Angela Solland, Marketing and Gareth Hull, Sr. Welding Technician. The team had an extra treat as Robin Broderick’s brother, a Senior Lieutenant Secret Service Agent, gave them a first-class, private White House tour! After lunch, the team had a Rose Garden meeting with President Trump, Vice President Pence, and most of their cabinet. About RGF Environmental Group, Inc.
RGF manufactures over 500 environmental products and has a 33+ year history of providing the world with the safest air, water and food without the use of chemicals. RGF is an ISO 9001:2015 certified research and innovation company, holding numerous patents for wastewater treatment systems, air purifying devices, and food sanitation systems. Situated in the heart of the Port of Palm Beach Enterprise Zone, RGF Headquarters span 7.5 acres, with 103,000 square feet of manufacturing, warehouse and office facilities. RGF has recently upgraded their facilities, creating an increased vertical approach to manufacturing, further allowing the company to provide the highest quality and best engineered products on the market.